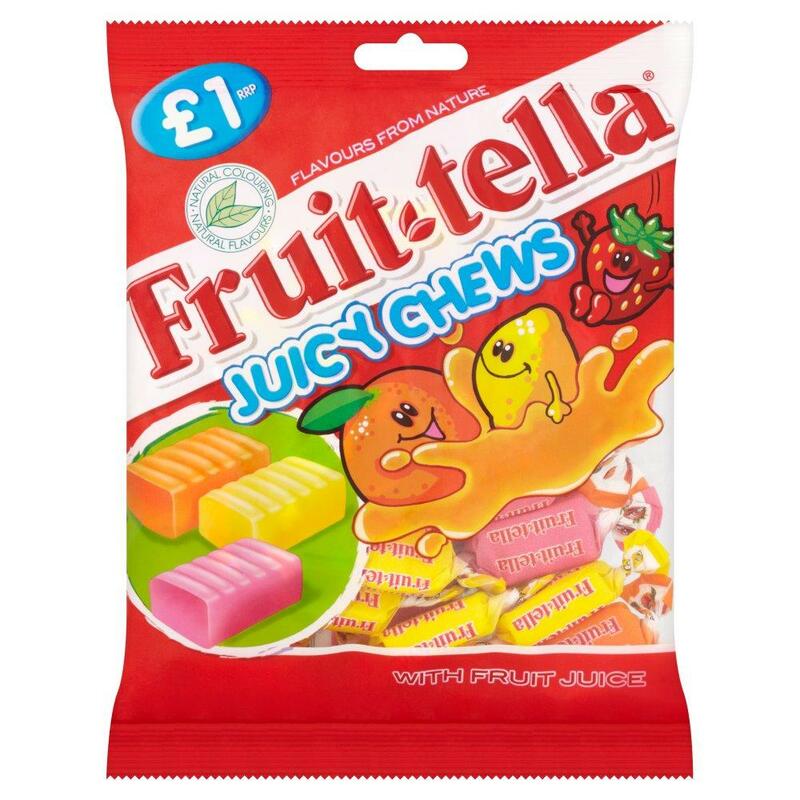 Each bag contains approximately 22 individually wrapped sweets. Perfect for pinatas or party bags! INGREDIENTS: Glucose Syrup, Sugar, Fully Hydrogenated Coconut Oil, Fruit Juices From Concentrate (Orange, Lemon, Strawberry) (3%), Acid (Citric Acid), Gelatine, Humectant (Glycerol), Concentrates (Carrot, Black Carrot, Elderberry), Natural Flavourings, Gelling Agent (Gum Arabic), Dextrin.